Fig. 1. 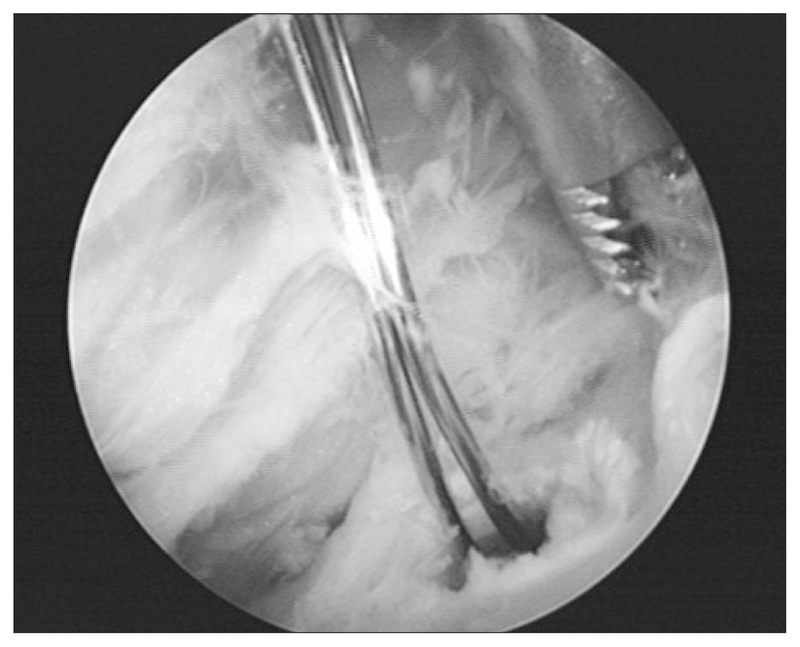 Superolateral capsulotomy was performed along the guiding material from outside to inside the joint with a shaver.